grasses in Pacific Northwest prairies with little knowledge of how these chemicals impact native plants. One such native plant, common camas (Camassia quamash), is a characteristic forb of these prairies that often grows in areas treated with these herbicides. Because camas is a critical resource for native pollinators and holds ethnoecological significance to native peoples, it is important that management methods do not negatively impact this plant. The objective of this study was to understand if and how various seasonal applications of clethodim and fluazifop may impact camas. We implemented a factorial design testing the effects of herbicide type (fluazifop, clethodim, control) and application season-frequency (combinations of mid-spring, late-spring, fall) on camas growth, foliar cover, reproduction, and palatability to herbivores. Our results show that herbicide treatments may reduce leaf length and increase flower and seed production, but do not influence seed viability or palatability to herbivores. 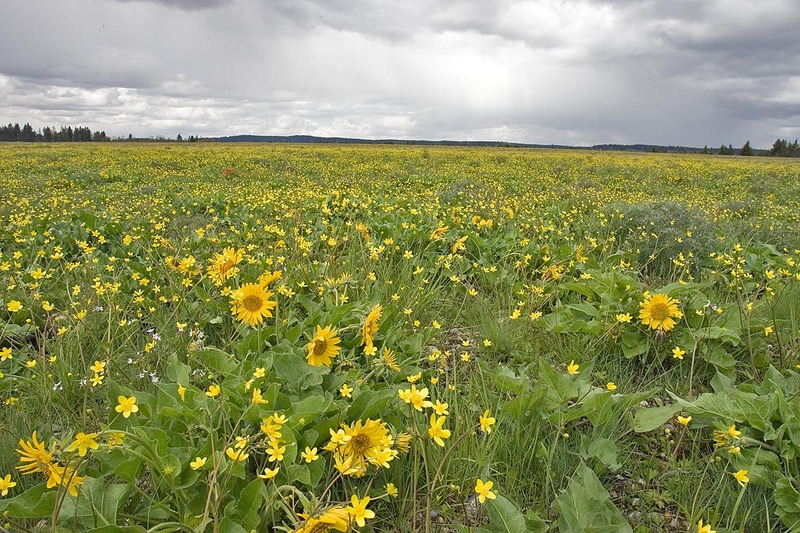 The observed effects are not likely to be ecologically detrimental, suggesting that repeat applications of either fluazifop or clethodim can be safely used in areas with high concentrations of this iconic prairie species. Download "Off-Target Impacts of Graminoid-Specific Herbicide on Common Camas (Camassia quamash) Growth, Abundance, Reproduction, and Palatability to Herbivores"
Common Camas (Camassia quamash) Growth, Abundance, Reproduction, and Palatability to Herbivores. Northwest Science, 92(3):166-180.